This year’s edition inaugurated a shared leadership structure featuring Alejandra Paulín as Executive Director and Maru Garzón as Artistic Director. In this seventh edition, these leaders continued to expand the festival’s appeal to industry professionals by including new programs, such as a pitching workshop and a panel of experts tackling “From Film to TV: The Ups and Downs of a Shifting Industry.” Such varied festival activities offered professionals countless opportunities for networking, brainstorming, and fund-raising. This year’s edition of the festival continued the organization’s long-standing support for films in development and in postproduction. Key to this effort is the Gabriel Figueroa Film Fund, which provides a platform for the development of twenty-one films and TV series on the North American continent. The fund is named after the prolific and influential Mexican cinematographer Gabriel Figueroa, who had worked with legendary directors such as Luis Buñuel, John Ford, and Emilio Fernández. According to festival publicity, the seventh edition awarded winning projects a total of almost seven million Mexican pesos in services and cash. In their official statement in the beautifully produced 260-page catalogue, the festival directors stressed that “Films are the strong core around which the festival is built, and North American cinema is our permanent spotlight.” Forty-one recent features unspooled in competitive and noncompetitive programs. Off-beat programs included the ecologically aware Green and After Dark, which programmed movies featuring “extreme narratives”—think Boots Riley’s Sorry to Bother You—or parallel worlds. Much attention focused on two competitive programs: México Primero and the Official Competition, which showcased recent features produced or co-produced in Mexico, Canada, or the United States. Unfortunately, because of scheduling conflicts, I was unable to see all nine of the Official Competition offerings. I first of all directed my attention to México Primero. Wild child ambulation in Feral. This selection showed first, second, or third features by emerging Mexican directors attempting to make a name for themselves. Five works played in this program, whose overall quality I would rank as modest. One title stood out: Feral, which was scripted, co-produced, and directed by Andrés Kaiser. This debut feature swept all available prizes: the Cinemex Prize awarded to the Best Film, the FIPRESCI or International Critics Award, and the Art Kingdom Prize. The latter is most unusual in that it awards the sum of U.S. $14,000 designated for the production of the winning film’s theatrical trailer. In interviews, Kaiser has indicated that the classic films Canoa: A Shameful Memory and The Blair Witch Project provided much of the inspiration for Feral. In addition, Kaiser was influenced by Mexican novelist/playwright Vicente Leñero’s Pueblo rechazado, a groundbreaking play that explores the psychoanalytic therapy integrally employed—to widespread controversy and opprobrium—by the unorthodox monks residing in the Santa María de la Resurrección monastery in Cuernavaca in the 1960s. This innovative religious use of psychoanalysis ultimately evoked the condemnation of the Vatican and the demise of the monastery’s famous/infamous Benedictine prior, Gregorio Lemercier. Feral is a clever exercise in genre-bending. The narrative launches normally enough, apparently within the parameters of the conventional investigative documentary or—just perhaps—the faux documentary: in TV news footage, a residential fire rages in a remote woods; then, on camera, eyewitnesses and concerned parties comment on events and the isolated inhabitants of the residence. Next, a found-footage motif appears in the form of dozens of old Betamax videotapes—recorded in the late 1980s—that are unearthed. Their degraded images scrupulously record the elaborate and ultimately frustrating sociopsychological experiments of a defrocked monk determined to raise in a “civilized fashion,” in a secluded setting, three feral children mysteriously encountered in the uncharted wilds of Oaxaca. Spoiler alert: the narrative then moves ahead in an increasingly disquieting manner to introduce elements of the horror genre. An eerie atmosphere permeates Feral. Kaiser is notably successful in creating the convincingly deteriorated appearance of the found videotape footage and in working effectively with juvenile actors as their wild-child characters face daunting tasks on their rocky road to socialization, such as walking upright, language acquisition, and the inculcation of religious values. Unfortunately, less successful is the director’s mystifying approach to the characterization of his ex-monk protagonist, who remains opaque. Perhaps Kaiser’s greatest accomplishment is to serve as a philosophical and scientific gadfly. Feral evokes many profound and disturbing uncertainties and questions relating to the human condition: the weight of Western Civilization vs. the “noble savage” myth; Rousseau’s antitheses between natural existence and civil society; learned behavior vis à vis the biological imperative; free will; the nature vs. nurture debate; or the proclivity of suspicious communities to demonize those who are different. Far and away the finest Mexican feature on offer was Roma, written, directed, photographed, co-produced, and co-edited by the famed transnational cineaste Alfonso Cuarón. [See review in the Spring 2019 issue of Cineaste.] Roma screened as a special presentation, out of competition, presumably because it had already made festival rounds having, for instance, captured the prestigious Golden Lion at the Venice International Film Festival in September 2018. The film’s title alludes to the middle-class Colonia Roma district of Mexico City, where the director (born 1961) grew up. But the film explores not just a specific physical and social setting; it is also closely tied to a definite historical chronology, which could represent a challenge for non-Mexican viewers’ comprehension of certain events prominently depicted. The Mixtec non-actor Yalitza Aparicio as Cleo in Roma. Roma is a meticulously researched familial period drama set in the turbulent years 1970–71, during the height of the Cold War. In Mexico, a restive student movement opposed the repressive, anticommunist rule of the authoritarian PRI (Partido Revolucionario Institucional). This long-ruling “official” party mere months earlier—in Mexico City in October 1968—had cold-bloodedly gunned down hundreds of allegedly subversive student protesters in a shamelessly whitewashed debacle known as the Tlatelolco Massacre. This historical context is essential for understanding key scenes in Roma: on a soccer pitch, a black operations unit—known as Los Halcones (The Hawks)—drill in a martial arts training camp; or, during a street demonstration in 1971, students are savagely attacked by armed plainclothes paramilitaries while government security forces stand idly by—a bloodbath dubbed El Halconazo (aka the Corpus Christi Massacre). In interviews, Cuarón has emphasized his film’s largely autobiographical inspiration. He grew up in a privileged white middle-class situation—a family with a two-timing and generally absent paterfamilias, a doctor; a virtually single mother working professionally outside the home; three siblings; and exploited indigenous servants. The latter assisted in looking after the children and also did the household grunt work, such as cleaning and laundry. Indeed, shots of the protagonist, a live-in maid/nanny scrubbing tile floors and lugging wet laundry up steep stairs, respectively open and close the narrative. A domestic worker’s work is never done. In titles at film’s end, Cuarón dedicates Roma to Liboria Rodríguez, the indigenous housekeeper who helped raise him. Cuarón’s ambitious project in Roma is to recollect, scrutinize, and then dramatize not so much his autobiography, but rather Rodríguez’s life, which was so central to his own upbringing. Roma is structured as a chronological dramatic narrative showing imagined scenes from this life. The Mixtec non-actor Yalitza Aparicio excels in the role of a perceptive, compassionate, loyal, hard-working, seldom verbal, and underappreciated employee who internalizes the rewards the job offers while intuitively understanding the rampant classism, sexism, and racism that “keep her in her place.” Because of the power of her performance—and her subsequent appearance on the cover of the January 2019 issue of Vogue México—Aparicio has become a cultural sensation in her homeland, where lighter-skinned celebrities have tended to rule the media landscape. Cuarón’s tour-de-force characterization is achieved thanks to his thorough mastery of select tools in the cineaste’s kit, to wit: widescreen, deep focus, low-contrast, black-and-white cinematography; leisurely paced, context-enhancing panning and tracking shots; an exquisitely executed sound design; resplendently monochromatic and historically accurate art direction; and shooting in continuity with a profoundly improvisational approach to acting. The Wayuu people and landscapes star in Birds of Passage. Female rituals are foregrounded in Birds of Passage. In the Official Competition, Birds of Passage prompted much critical to-do and also garnered the Cinemex Prize of the Public. The movie is billed as a Colombian, Mexican, and Danish co-production. With a nod to The Godfather, María Camila Arias and Jacques Toulemonde Vidal conceptualized their screenplay as the rise-and-fall saga of a drug-running indigenous family residing on the remote La Guajira Peninsula on the Caribbean Coast of northern Colombia. The creative duo Ciro Guerra and Cristina Gallego—renowned for their recent collaboration on Embrace of the Serpent—ably directed Birds of Passage. The film boasts strong production values, such as David Gallego’s dynamic widescreen color cinematography, which so successfully captures the essence of outdoor crowd scenes as well as the sweep and grandeur of the desert plains and other picturesque landscapes of the peninsula. As the opening—“based on real events”—titles of Birds of Passage suggest, an understanding of the film’s socioeconomic and historical contexts is essential. In statements to the press, Cristina Gallego has clarified that little documentation exists today chronicling the bonanza marimbera (marijuana boom) that blossomed in the late 1960s and the 1970s in the boondocks of the peninsula. At that time, topmost marimberos (marijuana traffickers) became a flamboyant nouveau-riche class almost overnight as American demand for La Guajira-grown varieties of cannabis skyrocketed. As the fast bucks rolled in, the extremely lucrative illicit drug trade infected the region with violence and rampant criminality. The seismic socioeconomic shock waves swept through both the regional and national economies and led in La Guajira to widespread societal disturbance, such as the elimination of traditional agricultural practices, including coffee production. Birds of Passage stands out in the rise-and-fall of the drug lord subgenre because of its unusual indigenous setting. The far-flung drug-dealing activities of one Wayuu clan are chronicled in a five-act dramatic structure unfolding chronologically in the period 1968–1980. The Wayuu people constitute Colombia’s largest indigenous community. Most of the film’s dialogue is rendered in Wayuu; and the filmmakers provocatively imagine a unique and transient enclave where dreams, magic realism a la García Márquez, ancestral traditions, mysterious omens, collective memory, and everyday life intermingle precariously against the backdrop of an international boom economy fueled by “savage capitalism.” Particular attention is paid to the ways in which women wield power in Wayuu society, and the filmmakers foreground and strive to accurately depict female customs such as the traditional seclusion ritual undergone by girls in puberty. The Clan is armed and dangerous in Birds of Passage. Widescreen action heats up in Birds of Passage. The most sociopolitically edgy feature I saw at the festival was Bisbee ’17, which played in the Official Competition. This uniquely creative work—part documentary, part fiction—was written, directed, and edited by the American Robert Greene. [See review in the Winter 2018 issue of Cineaste.] This ambitious filmmaker sets himself the daunting task of researching, analyzing, and ultimately dramatizing and re-enacting the Bisbee Deportation. This infamous event took place on July 12, 1917 in the company town of Bisbee, Arizona, which in its heyday had been renowned as the Queen of the Copper Camps. Two thousand deputized, armed vigilantes forcibly rounded up and then deported approximately 1,200 striking miners and their sympathizers, who were forced into cattle cars, railroaded far away into the New Mexican desert, and then abandoned to their fate. Most deportees were allegedly members or supporters of the Industrial Workers of the World, and many were immigrants or members of minority communities. Greene draws on the documentarian’s traditional tools, such as voice-over narration commenting on the historical events, and visits to the actual historical sites involved. The most striking of these is a still-in-use baseball field with its still-standing grandstand, the actual site of the roundup. Bisbee ’17 is strongest, however, when Greene gives the floor to citizens of the town themselves, who comment on the specific activities they engage in to commemorate the one-hundredth anniversary of the Bisbee Deportation: one artist uses a penny rubbing technique to create an individualized memorial for every person deported. Other interviewees speak more or less in character and discourse at length about their immersion in roles ranging from downtrodden Mexican miner, to company higher-up, to the sheriff of Cochise County, who does the bidding of the mine owners. These emotion-laden testimonies and commentaries powerfully take us to the heart of urgent and, in many cases, still contemporary matters: racism, anti-immigrant sentiment, and ethnic cleansing; the rights of workers in essential industries during wartime; the abandonment of due process in favor of vigilante justice and kangaroo courts; and an overarching rationale for vigilantism within the context of the patriotic fervor occasioned by the U. S. entry into World War I.
Bisbee ’17 reveals one weakness: its meandering structure has allowed for the inclusion of some extraneous material, such as a segment on pistol-packing Old West shoot-outs in nearby Tombstone, where run-of-the-mill tourism initiatives prevail. In spite of this minor weakness, Bisbee ’17 may eventually take its place with Salt of the Earth as one of the more revered American films dealing with labor history in the West. This visiting foreign critic is not qualified to assess Los Cabos within the Mexican film festival landscape. However, I found this seventh edition of Los Cabos—taken in and of itself—to feature interesting programming and competent organization. And the informal beach resort setting combined with warm hospitality made for memorable professional and social opportunities outside of the theatres. One regret: that Los Cabos is not more akin to most other film festivals in lasting a few precious days longer. 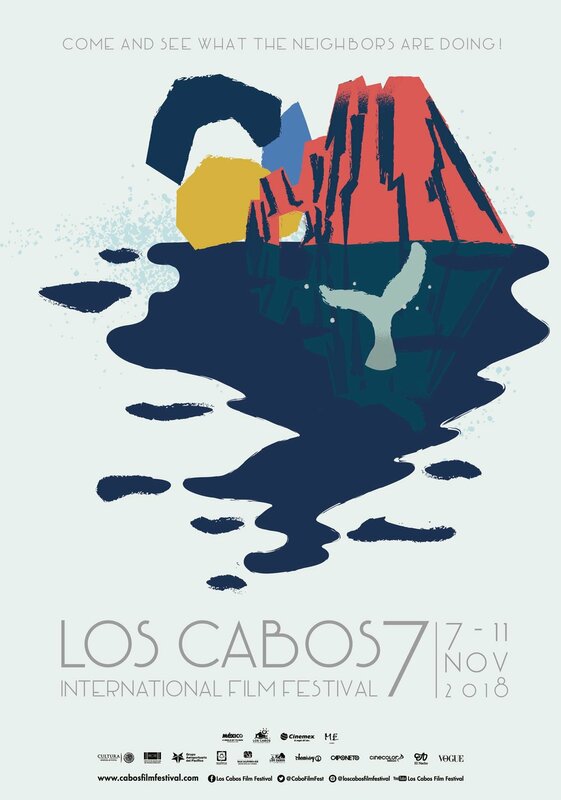 For further information on the Los Cabos International Film Festival, visit here. Dennis West is a Cineaste Contributing Editor.